The Hindu right wing government in the central Indian state of Madhya Pradesh finally withdrew the order introducing lessons from the religious text Bhagavad Gita in school curriculum. They also wanted to include Hindu religious teachings in the curriculum of Urdu schools from the academic year 2013-14. The Bharatiya Janata Party (BJP) ruled state came under heavy criticism from Muslim organisations and secular political parties for its attempt to alter the secular character of the constitution. 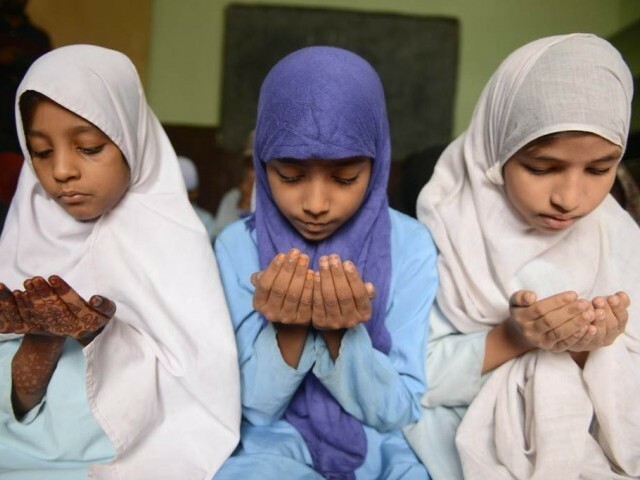 Members of the All India Muslim Personal Law Board (AIMPLB) Muslim Personal Law Board blamed the government for the communalisation of the school textbooks and attempting to indoctrinate young minds and sowing the seeds of prejudice among communities. The Congress party also attacked the Hindu right wing party for tampering with the secular spirit of the country. What the BJP is attempting to do in Madhya Pradesh is not something new. During its rule in Delhi, between 1998 and 2004, the BJP-led government made serious attempts to change the school text books and rewrite history by appointing communal academicians and historians in some of the important institutions that formulate educational policies. The whole idea was to capture the mind of young people and teach them a history which does not reflect the diversity of India and portray India as a Hindu nation. In this context they started teaching mythology in history curriculum thereby trying to prove that myths in Ramayana and Mahabharata are history and India has always been a Hindu nation. This way they attempted to show the Muslims and other minorities as others who have never been part of Indian history. This revivalist worldview is being taught in more than 70,000 private schools run by different Hindu organisations across India. They are reaching out to tribal groups and indoctrinating them with Hindu religious teachings and sowing the seeds of religious animosity in the society. Let us not forget that in the Gujarat riots of 2002 – where thousands of innocent Muslims were killed by Hindu fanatics – the indoctrinated tribal people played a prominent role. They were part of the fanatic mob that conducted violence against Muslims. Moreover, the over-15-year rule of the BJP in Gujarat has communalised the state to such an extent that any debate about the country’s plurality receives derision from middle and upper class of society. The western Indian state has become a laboratory of radical Hindus. Hindu extremists created havoc in the eastern Indian state of Orissa in 2008 where they massacred more than hundred Christians and destroyed many of their houses for not following the Hindu ways of life. Infiltration into education is part of the larger game plan of converting the nation into a Hindu state and undermining the religious diversity of the nation, and the fountainhead of this project is Rashtriya Swayamsevak Sangh (RSS), the ideological godfather of the BJP. Narendra Modi, a radical Hindu leader and the Chief Minister of Gujarat, who was the architect of the Muslim massacre in 2002, is the product of this school of thought. He is the presumptive prime ministerial candidate of the BJP and poses a very serious danger to plural tradition of the nation. His rise to the national politics forces us to make a choice whether we want to see India as a modern, plural country or a nation intolerant of other cultures and faiths. Though the chief minister of Madhya Pradesh withdrew his dictat keeping in mind impending assembly elections, it, however, reveals in no uncertain term the wider game plan of the Hindu fanatics to advance the majoritarian agenda and accentuates the deep fault line between different faiths. This is not a new game plan. They have been at work since 1925, when the whole nation was participating in freedom struggle RSS and its cohorts were busy propagating communal agenda. They cannot escape the blame of building up a situation which finally led to the partition of the country in the name of religion. Even after Independence in 1947, the organisation continued with its divisive agenda and it led to the assassination of Mahatma Gandhi at the hands of a Hindu zealot – a by-product of the RSS school of thought. Much before Islamic terror became a buzzword, RSS laid the foundation of Hindu terror in modern India. The violence in Gujarat in 2002 against a minority was the extension of that terror. A few years ago a Hindu fanatic, Aseemanand, confessed the involvement of the Hindu organisations in terror attacks in some of the Muslim dominated areas, like Malegaon in 2006 and 2008, the Samjhauta Express bombings (2007), a bomb blast at a Sufi shrine in Ajmer Sharif (2007), the Mecca Masjid bombing in Hyderabad (2007), and an attack in a minority area Modasa, Gujarat (2008). The overwhelming secular and liberal forces in the country need deep introspection. Can they allow the nation to be a playground for rabid communal forces that are out to radicalise society and alter the pluralistic character of the nation? 66 years ago, India made a tryst with destiny and made a pledge to establish a modern, plural and secular democracy; the time has come to redeem that pledge again and reassert its faith in the basic principles governing the nation. The radicalisation of the main opposition party, the BJP, is a matter of concern. They are making a serious bid to capture power in Delhi next year. If that happens then what the Madhya Pradesh government is attempting to do today the BJP will try to replicate it in other parts of the country. Should we allow the forces inimical to idea of India to succeed? Oh… Hindus are the problem in India. Remove them by calling them communal, make them feel ashamed of their culture, religion, tradition. Blame everything on them. If they do it good, if the ‘other’ does it, blame it on the ‘intolerance’ of Hindus. And meantime let certain community enjoy legal child marriage under the patronage of courts and under the silence of liberals. And let them also enjoy the motivating speeches by Owaisi. Much as we should condemn religious extremism of any kind, Hindu or Muslim, this author has no clue of subcontinental history. Mahabharatha is the longest and perhaps the most extraodinary epic in world and a crowning jewel of subcontinental mythology and story telling. These epic traiditions are native to every subcontinetal culture from Gandhara in the northwest (afghanistan) to Tamil nadu in the south east. Every subcontinental should read it and enjoy it, just the Greek Iliad and Odyssey are part of western education. Hinduism was never a religion historically speaking, unlike the Abrahamic faiths. Any culture practiced natively in the subcontinent has been classified “Hinduism” by foreigners who never understood the place. By claiming that no “hinduism” should be taught is just tantamount to saying no indigenous native traditions should be taught in schools. So, it is just absurd. Oh here comes the apologetic brigade!! Ask any forward thinking liberal Hindu what he thinks of India and what it has become. While this should not be seen as an Anti Muslim (Islamic) diatribe but why is it that Hindus cant even venture in areas of Jama Masjid, Nizamudin, Okhla and Jamia Nagar in Delhi? Why cant Hindus visit places like Mohammad Ali Road or Nala Sopara in Mumbai? Why cant Hindus visit the old city of Hyderabad? Why is it that people like Owaisi are allowed to hold direct hate speeches and not even a single Muslim politician, Ulema or Imam condemns it? Why must it be that Hindus have to always have a meek surrender to the hate speeches by such people? This article though thought provoking is merely an attempt to conjure up ‘likes’ and provide fodder for cannon for the already anti – secular, anti – Hindu, anti – India hawks across the border!! I thought this move was ridiculous when it was first floated. There was nothing wrong in it if the objective is to let children learn the basics of every religion. This is the very nature of any secular education and any proper education anywhere in the world. However, this move served no purpose. In a country like India, where people of different religion interact and partcipate, additional turoting on any particular religion at schools is not necessary. However, this move was clearly to appease some Hindu groups with extreme view. This move was counter-productive and stuipid. I’m not a big fan of the BJP or Narendra Modi but, I would like to see a different government at the central level for a change. After almost 10 years of Congress led UPA government, Growth has been stalled, Inflation is up, Rupee has lost more than 20% of its value, Corruption is at all time high (Common Wealth Games, Coal Gate, 2G scams…) and our security/foreign policy is deplorable. Rising fundamentalism on both sides of the border is really very dangerous for both India and Pakistan. Here we have fanatics in Sind who are forcefully converting Hindu girls to Islam in order to make an advance booking to heaven. While BJP is as you explained; very systematically trying to make India a Hindu nation. Another aspect of the situation is that perhaps fanatics have got so much power only due to the fact that liberals or moderate parties in both India and Pakistan have failed to live up to the expectations of their people. Congress and Communist Party in India and PPP, ANP, MQM have by and large disappointed people. And now sadly even the right of the center parties like PML-N and PTI are also following the same path. This leads to popularity of radical parties who gain people’s sympathy by aggressively criticizing the mainstream parties and portraying themselves as the true saviors. They also promise heavy spendings on defense which suits the military establishments of both the countries. Let’s hope people of India will, like always, choose their leaders wisely in the next elections. Is this article meant to be a satire ??? Look,I wont disagree that India is facing an issue of rising fundamentalism from the majority religion. Modified: Oh Yeah? Try walking in those dingy alleys of Gali Kababiyaan or Chitli Qabar or Matia Mahal! For people like you eating at Kareems or Jawahar or Kallu Kababs is like a visit to the Walled City… Sheesh! It is really strange to see the hue and cry about including some verses of Gita in madarsas. As far as I know madarsa’s are not purely for religious study, they provide all type of knowledge. Can you quote some source for the ‘thousands of innocent Muslims killed‘ please? Just visit India before spouting hate which you have been propagandized into believing. @Qaisrani: You are one the few people I respect here on this forum… but I really cant be putting up with a meek surrender, not in my own f*in’ country at least! I have been challenged, my country’s fabric has been challenged and my faith and belief (which incidentally I was minding my own damn business and was poked and poked and poked) although however fragile it maybe has been challenged by apologetic Indians. I had to give up a seat in College for a Minority (Muslim, Sikh, Christian I don’t know who) member as it was reserved for him / her, did I utter anything then? I didn’t! I went about my way… I didn’t utter a word.. now when its getting too much to handle and swallow I don’t even have the right to stand up for what is rightfully mine? I’ll say it again – though it shouldn’t be taken as an apology or pacification in any form whatsoever: I have a Muslim as a girl friend, I have a Muslim in my family and I have had several Muslims as class mates in school and at work, I love the first two and it proves beyond doubt that I have no personal beef with Muslims at all. I’m just aghast at being belittled by my own people and my own govt., at the slightest attempt to live as per my rules and choices. Is that too much to ask? Non Resident or at best Anglophied culturally non-Indian Jinah and Nehru like people created on British prodding India and Pakistan, and now culturally and spiritually Indians cannot stay within India. Culturally & Spiritually Anglo white Mughal Dalrymple is honored permanent guest like Dawood Gilani alias David Coleman Hadley. This is the India which is being created. The left in India is financially supported by Rome. The arms in Naxal hands are capitalist’s and Kristi provided (may be RECENTLY BY ISI). I read Mahabharat in school.Big deal.What’s wrong with it. It’s not as if pujas and mantras are taught. they should remember that the planet,this world isn’t for muslims alone. Can’t believe so many Indians actually like Modi, and are probably going to vote for the BJP/RSS next year. Just compare the comments by Indians on this blog and comments by Pakistanis on a similar blog about Islamic radicalism in Pakistan, most Pakistanis are self-critical and apologetic, whereas most of the Indian commenters here are condoning the actions of Modi and the RSS, because it offends their nationalistic or jingoistic feelings. Pakistan might not be a secular state, and isn’t as harmonious as India(relatively speaking), but most Pakistanis vote for non-religious parties either on the center-left or center-right, in the recent elections Islamist parties only won 3% of the popular vote, and in Karachi only 1%. So i guess Pakistanis are learning from their past mistakes, whereas Indians are making the same mistakes Pakistanis made in the past. This isn’t hate speech, this is free speech that just so happens to be politically incorrect. Good article.If you’re really concerned- publish this article in INDIA ! There is One Jewish Country and the Jews AND THE JEWS ARE NOT RADICALIZED. There are possibly Ten Buddhist Countries AND THE BUDDHISTS ARE NOT RADICALIZED, over Fifty Islamic Countries AND THE MUSLIMS ARE NOT RADICALIZED, Over One Hundred Christian Countries AND THE CHRISTIANS ARE NOT RADICALIZED but PLEASE REMOVE THE FEAR OF THIS WORLD HAVING EVEN ONE HINDU COUNTRY as there is NO CHANCE OF THE HINDUS BEING RADICALIZED. So it is wrong to say Will radicals succeed in making India ‘for Hindus only’?. This being a blog Sanjay Kumar has every right to air his thoughts…….right or wrong. To me it seems that he is putting out a warning not to go in a certain direction because it would be bad for India……..nothing wrong in that. The point being missed, I think, is when it comes down to challenging the basics, its the Constitution that counts and its interpretation by the Supreme Court of the country, that matters. Hmmm…. when the Muslims of India said “we are a different nation and different people” as part of the “two-nation” theory and partitioned India, didn’t they ipso facto make India into a “for Hindus only” country? Never mind the fact that the bad Hindus let a Muslim population larger than Pakistan stay back in India and made their constitution a secular one. Fantastic article, Sanjay. Just yesterday, in Saharanpur a mob of Hindu fanatics attacked Muslim shoppers, killing 47 people in cold blood and destroying over 20 houses belonging to Muslims. I haven’t seen ANY news of it in ANY Indian/Hindu newspaper. My own gripe about Indian history books is that they carefully gloss over (if not ignore and deny) the atrocities of the muslim rule. Sir,please don’t judge 1.2 billion Indians based on a handful who’re commenting here. The most sensible,informed and balanced opinion on this blog… If there are more people who think like you,we will have world peace. The whole idea was to capture the mind of young people and teach them a history which does not reflect the diversity of India and portray India as a Hindu nation. I remember reading a story titled ‘Idgah’ in my Hindi literature book. Now, if reading Bhagwat Gita is negation of diversity and promotion of Hinduism, then perhaps I have been a victim of promotion of Islam and Christianity. 1) I do not know about quota system in India but here is Pakistan, in 3 out of 4 provinces, quota system is still working while in Punjab, the biggest one, it has been abolished, presumably, to pick the brilliant ones, but it has resulted in mere exploitation of Southern part of Punjab(Saraiki wasaib with Multan at it’s cultural capital) at the hands of Central Punjabis (Lahore and surrounding cities) due to all infrastructure already prevalent in Lahore to exploit this open merit system. All this has resulted in more poverty, more exploitation and growng radicalization in South Punjab. Either provide level playing field to every segment of society or they genuinly need constitutional cover to overcome their deficiencies. It was a riot started by burning of Hindu pilgrims at Godhra by a muslim mob. They weren’t ‘lead’ by modi. The rioters were the general public. This is a complete half researched story.As we all do in our profession just to show our dept of knowledge we share some Hearsay stories to others as if this is something out of a long research.Now to answer some of the points this man has raised. Modi failed in his duty as chief minister,to suppress the riots on time,leading to the death of muslims and hindu’s. He’s a tainted man ,who shouldn’t be the PM of a plural society like India. What gonna happened to Dalit or untouchable in Hindu india? they are two hundred millions and how they gonna survive will they make seprate country for dalits only? or should they converts to islam or Christianity (then again blacks are not equal to white in west) ??? Why do you refer to tribals as junk..where is your humanity ? Maybe if the well off Hindu’s did something about their poverty and provided them basic facilities,the tribals wouldn’t have converted.and remained hindu. Why do hindus object after conversion-where are they when the tribals were in poverty ? Indian law allows citizens to follow any religion- so if you object-you’re insulting our nation. Next time you feel troubled over conversion,please go serve the poor,before they’re helped by others. Okay ? And as for our Indian friends, your comments disappoint me. Yes, it’s loads of fun to watch and even participate, when Pakistani bloggers are discussing Pakistan’s shortcomings. But hear a peep out of someone against India, and it’s rage-city. If Indian bloggers can’t write for Pakistani sites, Indian commenters shouldn’t comment on Pakistani sites either. I am shocked by the comments above. —- BJP was in power in the past in Delhi at federal level and that was the time when efforts were made to solve the Kashmir issue and concrete steps taken to normalize the trade. If it comes again in power why there is a fake fear in author’s mind . Indians are more worried about the economy and betterment of general people than Pakistan or the Muslims or the religion. Every political parties including the so called congress ( who claim to be the secular and champions of plurality) does play the religious cards to lure the vote banks and in the process appease the Muslims. As the congress apprehends loss of votes its youth wing tried to stop the Dosti bus to gain political mileage. Same is the case with Samajwadi Party. So there will be efforts to polarize the votes . India’s democracy and its secular fabric is quite strong and BJP knows its limit. @I am a Khan: If you are a Hindu and your Girl Friend is a Muslim, then understand that she just has a Muslim name! My dear brother, Pls. reread my comment. Im asking the author to spread his concerns by publishing in India. How are Indians to benefit if it’s printed in a Pakistani paper which must be read by a few dozen Indians out if 1.2 billion ? And doctor- the few dozens who’re defending the bjp shouldn’t represent 1.2B people… Not every Indian defends saffron parties. Oh! You bet, I have. In fact Indian history books are full of them. But is that all there is to Indian history? Or, Was there an India before the Islamic invasions, too? And is that not part of history? I agree with you..the Indians here are defensive.I think you can understand that the extra bitterness is from fresh memories of watching the state funeral of the 5 soldiers who died.Maybe that memory made the arguments more acrimonious. I agree with you…the few Indians on this blog are defensive. But you may understand their minds better if you understand that the memories of the state funerals of the five soldiers are still fresh…maybe those memories are making their arguments more bitter and acrimonious. 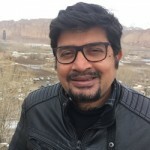 @Faraz Talat – Sorry to disappoint you sir… The ones (including me) taking umbrage to this article are rankled due to the white lies from this author…which paints as if the entire Muslim population here is under siege and threat due to a Hindu course being pushed ahead by the BJP-led Govt. What facts has he fudged, precisely? And even if we can argue over the extent to which India mistreats its Muslim minorities (anyone denying the mistreatment altogether, is evidently part of the problem), can’t we still agree on the fact that BJP’s attempt at pushing Hindu literature in schools was wrong?